Here are 3 videos from the fights/altercations between the Lakers and Mavericks tonight in Los Angeles. Jason Terry started the ruckus by shoving Steven Blake out of bounds. Matt Barnes later on shoves Dallas assistant coach Terry Stotts and gets ejected. Terry, Barnes, Blake, Brendan Haywood, and Shannon Brown were all ejected in tonight's game. A fan came out and rushed the Mavs' bench in the fourth quarter as well but luckily the ushers/security guards prevented him from getting all the way down to where the Mavs' players sat. Here's a video of a fight between two big men outside a bar. One woman almost becomes a casualty of the fight when she tries to get in between the two behemoths. Not a smart move! Check out the preview of the new Showtime reality show for the San Francisco Giants called "The Franchise" which will be debuting soon. In the preview video, we get to see Andre Torres work out in jeans and dirty dance with a hot Latina, Bruce Bochy fishing, Brian Wilson and Sergio Romo clown around, and Freddie Sanchez go on a Valentine's Day dinner date with his pretty wife. How did this chick even get into college? Don't u know your video was disgusting and tasteless? Are u sure your major is political science? How does it feel to be called a "racist whore"
Did your mom and dad put that racist bone in your body? Don't u know that u reap what u sow? And now it's time for UCLA to let u go! UFC welterweight contender, Anthony "Rumble" Johnson will be signing autographs for fans at a sports card and collectables show at the Westgate Mall in San Jose this Saturday afternoon. Johnson will be signing from 2 to 4pm. The popular UFC fighter will be fighting Dan Hardy on March 26 live on SPIKE TV. The fight will be Johnson's first fight in over a year. He did not fight in 2010 due to injuries. Strikeforce female fighter Jenna Castillo will be signing autographs from 1 to 2pm at the same show. Westgate Mall is located at 1600 Saratoga Avenue in San Jose. There will amateur MMA fights at Kezar Pavilion in San Francisco this Saturday afternoon starting at 3pm. 15 amateur fights are scheduled on the card and many of the top local Bay Area MMA schools will have their top fighters participate in the show. 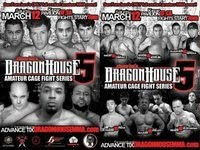 The event is called Dragon House 5. Teen punks these days have no respect whatsoever for anything anymore. They will rob old ladies and old men and beat people up for no reason. They would steal from the blind if they had the opportunity. Check out this video of three teen punks attacking two teens inside a Taco Bell. It's 3 on 2 but it doesn't matter as the two friends are the winners in this brawl.